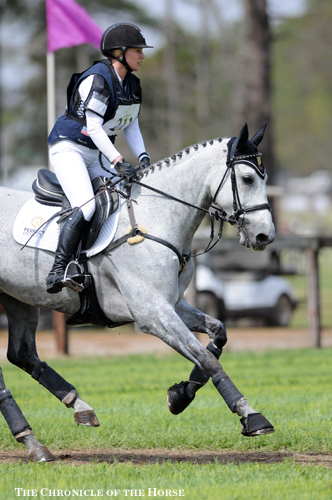 Looking at the start list for today’s cross-country, you may not have bet on Marilyn Little and RF Demeter to take the win in the CIC***. 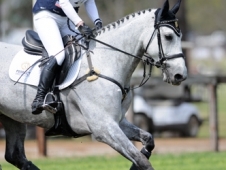 Sure, they’ve just come home from competing in Europe last year, finishing their third four-star in the top 20 at Pau (France), but “Demi” hasn’t been out competing this season, and they were sitting in fifth place after dressage and show jumping. 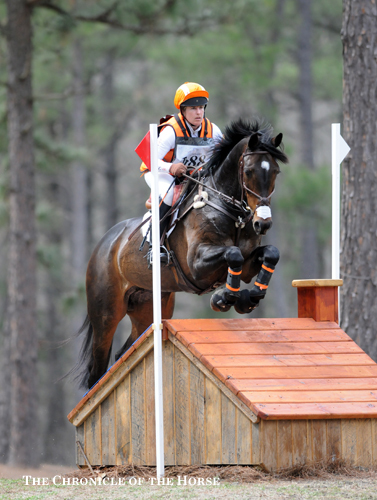 But time was a big factor on Hugh Lochore’s cross-country track, and Little and Demi turned in one of two double-clears to jump up the leader board and clinch the win. 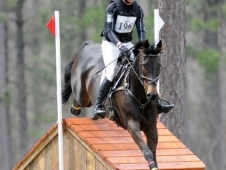 Little also turned in the next fastest round on RF Smoke On The Water, who finished in eighth place. 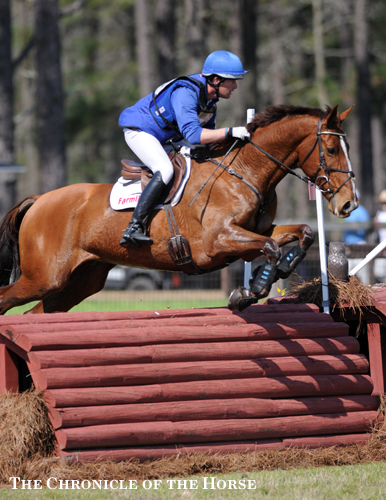 Demi returned to the U.S. last winter, but she had to spend two months in quarantine when she fell ill and thus lost some weight and training time. 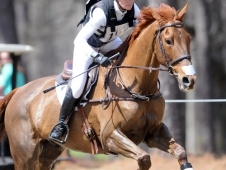 Little, who’s based in Wellington, Fla., during the winter months for her jumper business, took Demi galloping at Palm Beach Downs, a private turf training track she got permission to use, to start getting her fit after she was out of quarantine and feeling better. 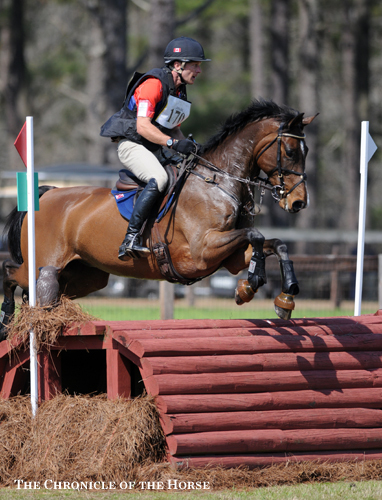 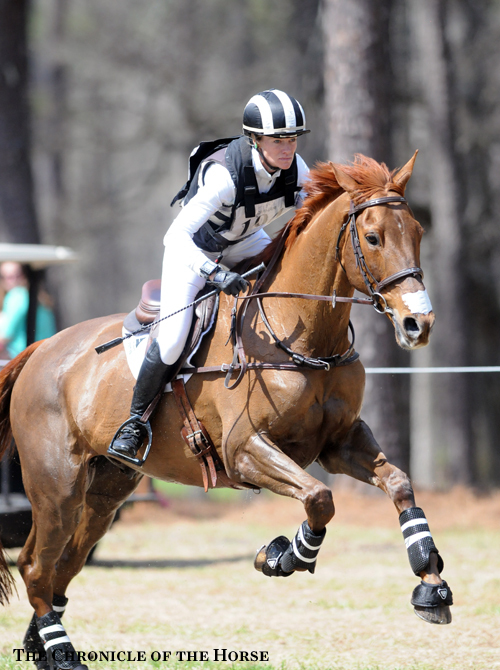 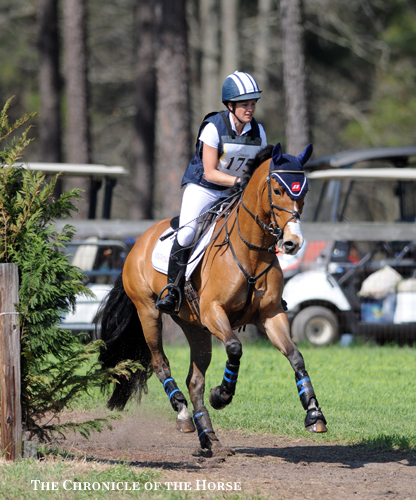 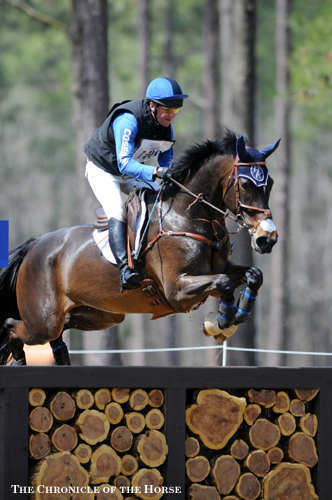 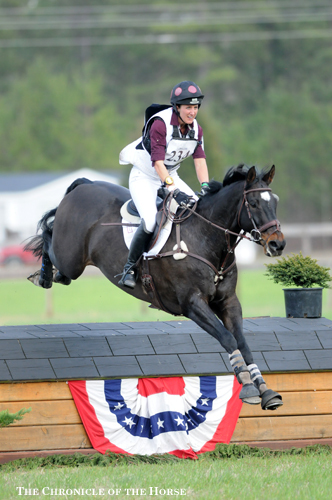 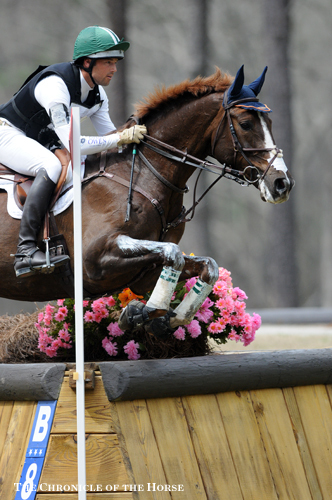 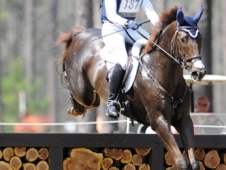 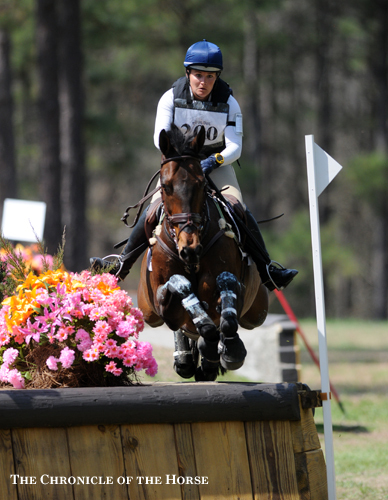 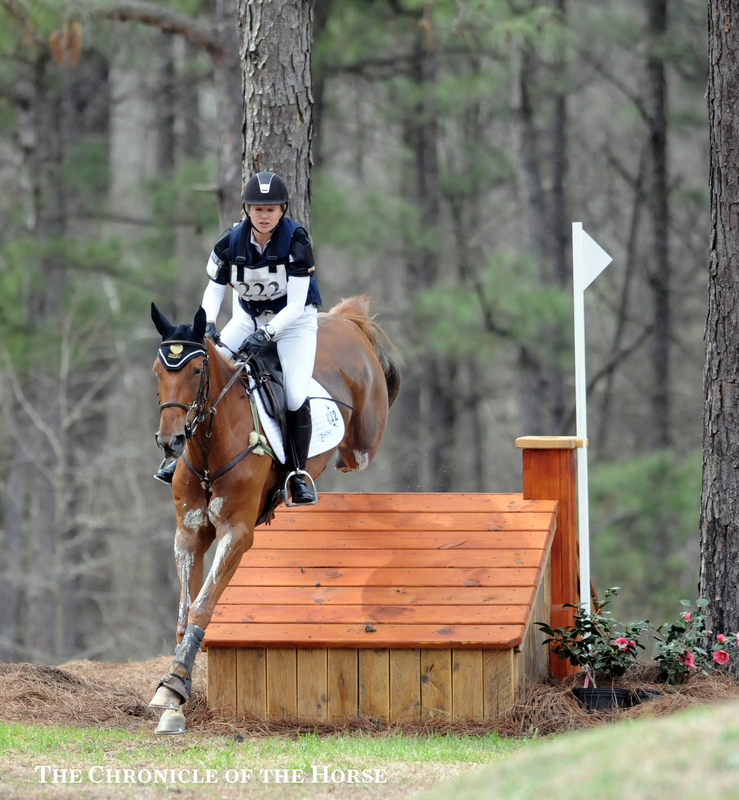 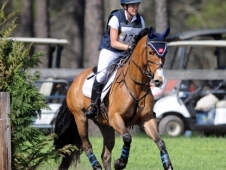 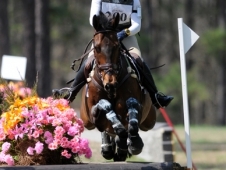 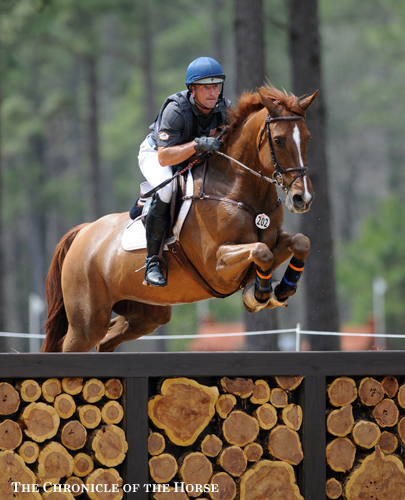 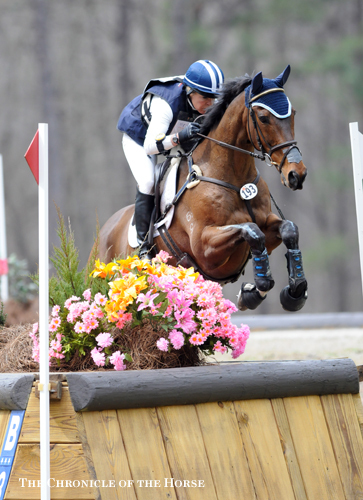 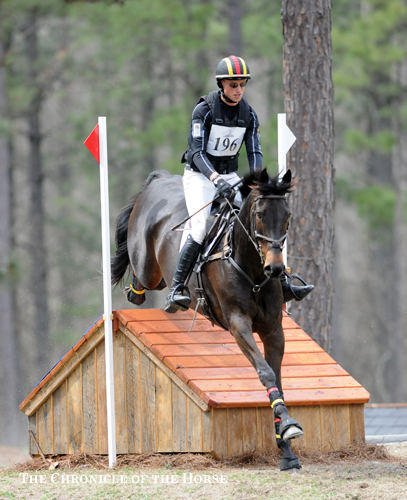 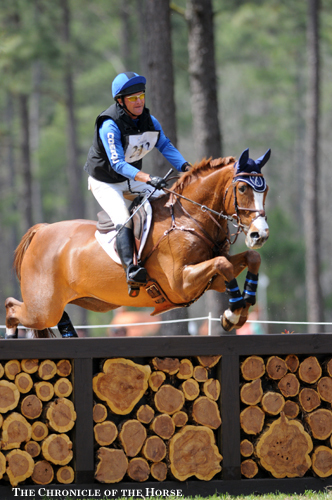 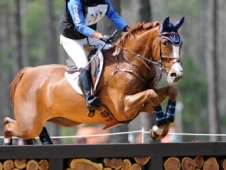 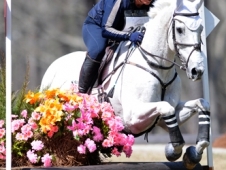 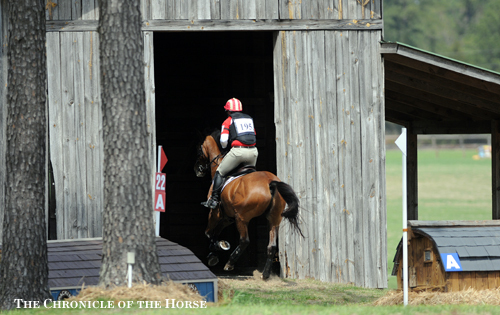 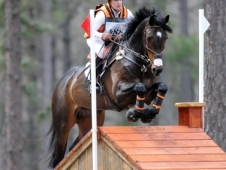 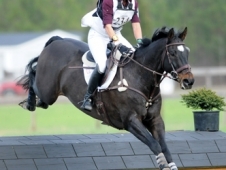 Little’s win was made a little more special because she did her first advanced event at the Carolina Horse Park in 2011, just a year after diving head first into eventing from the show jumping world. 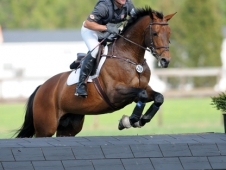 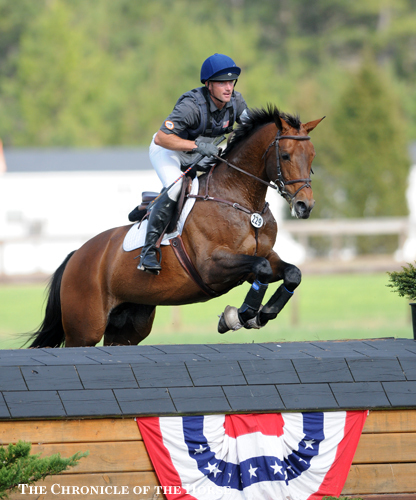 Buck Davidson had four rides in the CIC***, and in the end, it was his longtime partner Ballynoecastle RM, or “Reggie,” who brought him closest to the win. 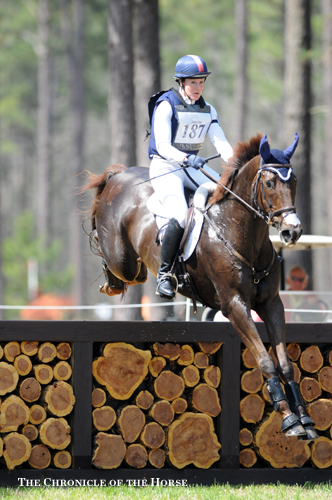 The pair finished second by adding 2.4 time penalties to their score, moving them up from a tie for 10th after dressage. 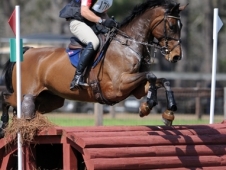 Davidson was pleased when the FEI vets told him Reggie had the best heart rate and temperature of the day after cross-country. 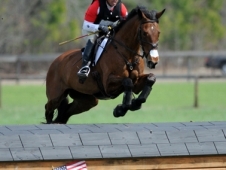 Michael Pollard, who was leading the three-star, added 8.8 time penalties to drop to third, but he was pleased with how Ballingowan Pizazz went. 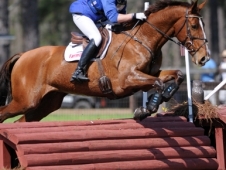 He had a fall from his first ride, Mensa, at the A element of fence 18, the Aires Marine Pine Line, but he was up on his feet, albeit a little sore. 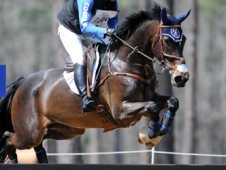 Of 40 pairs to start (Kim Severson withdrew Fernhill Fearless, Holly Payne withdrew Never Outfoxed and Will Faudree withdrew Pawlow due to a possible bruise from twisting a shoe in the show jumping), only Little on Demi and Tim Bourke on Luckaun Quality finished under the time. 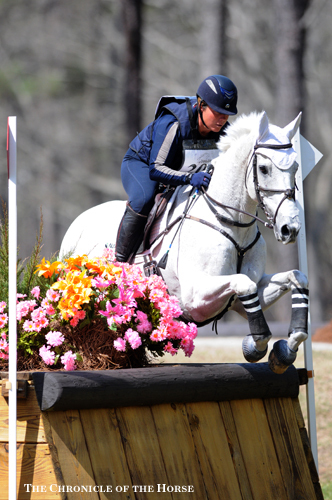 Kimberly Kojima and High Time were eliminated for three refusals on course, and Sharon White picked up a run-out on Rafferty’s Rules at the B element, a corner, of the Zoe’s Bank Complex, and Davidson had a run out with Petite Flower at fence 18AB. 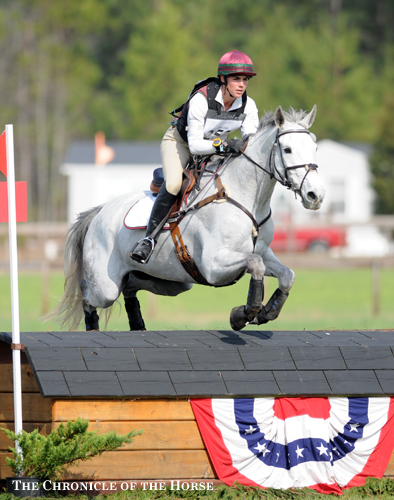 Grald has been benefitting from being talent-spotted onto the Eventing 25 list, which allows her to attend special training sessions with U.S. Eventing Chef D’Equipe David O’Connor. 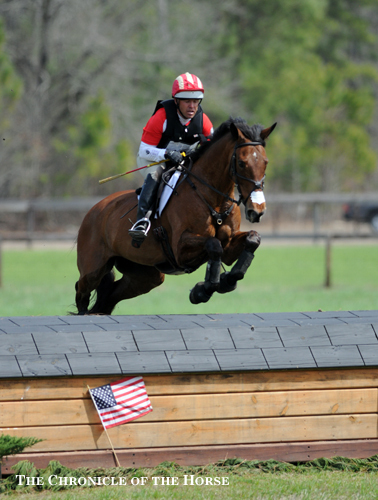 Will Faudree also picked up a hometown win aboard Riesling De Buissy in the CIC* when leaders Peter Barry and Long Island T added 9.6 time penalties on cross-country. 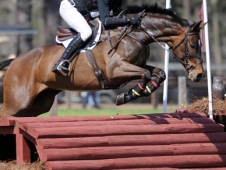 “P-Nut” is making his return to competition after a freak injury to the bottom of his tendon sheath was diagnosed after he finished second in the Jersey Fresh CCI** (N.J.) last May. 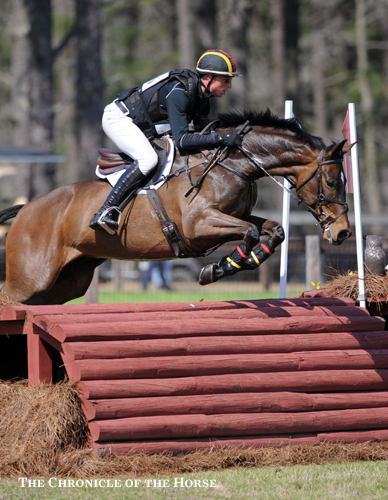 Faudree had to hold back P-Nut on cross-country as the 17.2-hand gelding ate up the ground between fences with his huge stride. 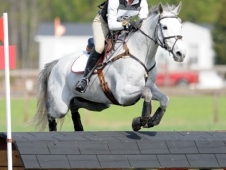 Check out coverage from Friday’s show jumping.